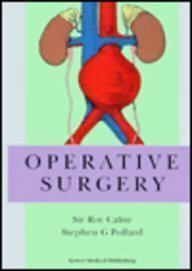 Written by the liver transplant surgeon, Professor Calne, this text contains step-by-step illustrations for each operative procedure described. These have been drawn from photographs taken at operations and are accompanied by specific text, including anatomy and complications. Calne, Roy, Pollard, Stephen G.